Taking Aquatic Operations To The Next Level. With pool tests, pool closure reports, and injury and illness reports, Facility Manager™ simplifies daily tasks, streamlines risk management documentation, and ensures code compliance. At Counsilman-Hunsaker, we know exactly what it takes to build a successful aquatic center from design to daily operations. And managing paperwork in a wet environment with multiple employee shifts can feel counter-productive. That’s why Counsilman-Hunsaker is excited to partner with the National Swimming Pool Foundation® to offer Facility Manager™. Designed with you in mind, our cross-platform, web-based application allows you to complete, update, and review your records both in real-time and online. Whether you’re on-site or out and about, you’ll have access to your data anywhere. Maximize your time with access to real-time data right in your pocket with these features, and ensure proper reporting and record keeping while eliminating the paper hassle for your staff today! Standardized options, auto-fill for key fields and automated prompts help keep you from overlooking required items while customizable email templates and alerts save time and keep the right people informed. This means your facility records will contain more facts and details that can identify trends specific to your facility. 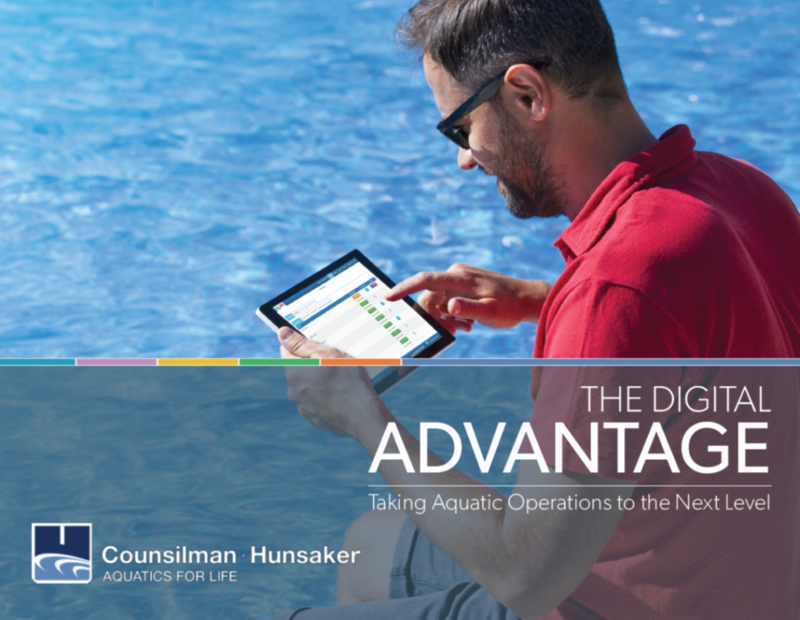 Experience the benefit of over 100 years of aquatic knowledge and innovation that only Counsilman-Hunsaker and the National Swimming Pool Foundation® provide with the Facility Manager™ web app today! contact Johnathan Nies at (303) 323-8527. An innovative feature of Facility Manager™, Pool Test enables staff to log and record pool test readings online, making reports available to managers and supervisors anytime, from any device! Beyond your regular pH and chlorine tests, the app calculates the pool’s saturation index (LSI) with Water Balance tests, available anytime throughout the day. Pool Test is pre-set to Model Aquatic Health Code (MAHC) guidelines or can be configured to your state or local health codes. Email alerts also keep you and other team members informed whenever a test is recorded that is out of range. Where Facility Manager™ found its compliance management origins in 2011, checklists allow users to quickly and effortlessly complete daily, weekly, and even custom checklists from any device! Featuring a “workflow” that allows documentation of needed repairs with deadlines, completion dates, and before and after photos, Facility Manager’s™ automation features also allow you to send repair notes to whomever is responsible for maintenance. Unique to Facility Manager™, dynamic pool closure reports make it easy to track reasons for pool and feature closures, such as inclement weather, water quality issues or recreational water illness, and to capture all the details! 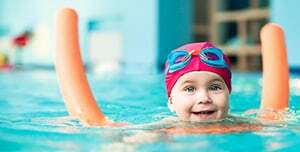 Pool Closure also prompts users when needed for any corrective actions taken while utilizing Model Aquatic Health Code to educate them on what steps they need to take to ensure a consistently safe swimming environment. Documenting incidents has never been easier! Facility Manager™ incident reports ensure your data is legible, standardized, and professional. You can also include supporting photos as needed and run location-based reports so you know exactly where incidents are most frequently occurring. Facility Manager™ is the first program to receive certification by the Council for the Model Aquatic Health, meant to help inform the public about certain aquatic services and products that meet strict standards to protect people’s health and safety at public aquatic venues. The CMAHC awards certification to services or products that comply with the relevant or applicable standards outlined in the Model Aquatic Health Code (MAHC).